Using Registry cleaner is indeed a great way to get rid of invalid or faulty registries that sluggish the performance of your PC or system and forced you to deploy a fresh installation copy. Don’t worry if you’re facing slow PC performance or programs behaving abnormally. There are free registry cleaner programs that can detect all the invalid entries on your PC and removes them carefully without affecting the performance of your PC. Why Registry Cleaner program still works? There are various online content available stating that uses of registry cleaner software didn’t affect performance of PC at all. I’m not denying the fact but registry cleaner is still useful when you unknowingly installed any malicious or faulty third party program that damaged some of your crucial registry entries. It’ll also help you restore registries that have been corrupt or damaged due to faulty application installation. 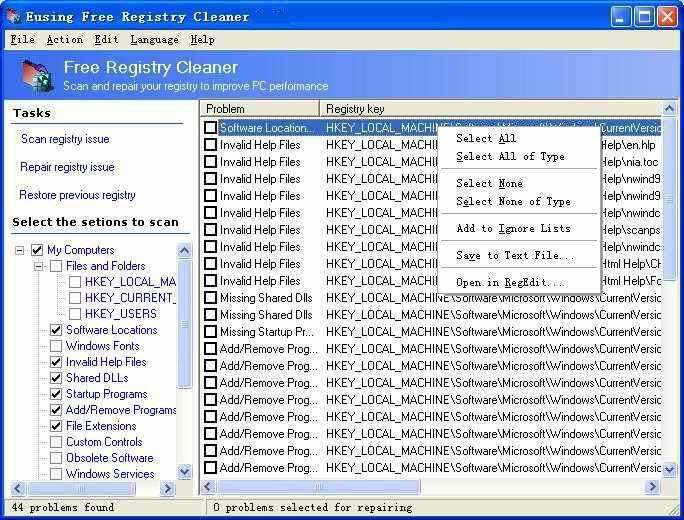 Free Registry cleaner software used to detect any or all the invalid entries from your PC and removes them after your confirmation. Invalid registries are created by third party or faulty program that suppose to be outdated or corrupt and remains at the same place even after completing erasing the programs from installed software list. When you can Use registry cleaner software? There are various occasions when you face slow PC performance, blue screen errors or invalid error pop up coming on the screen on your Windows. These kind of errors are often derived by faulty registries and using free registry cleaner programs, you can easily fix them and regain the actual PC speed. Eusing is an open source registry cleaner that works well with all the latest version of Windows and safely fixes modern registry errors. With Eusing, you can repair almost any number of invalid registry entries in minutes. Eusing safely remove program leftovers or files header that resides even after the file permanent deletion. Unlike other freeware registry cleaner programs, you’ll find this program adware free and 100% safe for your PC. Yet another free registry cleaner that performs exceptionally well and above all registry cleaner programs. It gets easily installed on machine running any latest version of Windows OS and automatically detects as well as repairs all the corrupt or damaged registry entries. Cleanersoft is pretty good at discovering all the malicious entries created by faulty programs that use to left registries abrupt normal functioning of your system. Glarysoft is tested and fully operational registry cleaner that works well in your latest Windows operating system i.e. Windows 10 and can detect incorrect entries that other registry cleaner might skip. 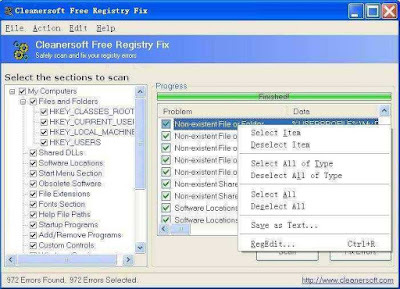 This free registry cleaner app will perform little deeper scanning to fix all the recently created unauthorized or invalid registry entries and helps you achieve maximum PC performance by removing all the junk files. This way, you’ll also be getting more disk space and maximum resource utilization. Little registry cleaner is absolutely free registry cleaner app available for fixing any kind of invalid Microsoft registry entries that isn’t digitally signed or originated from non-trusted sources. It’ll improve the stability of your PC as well as experience of maximizing the PC performance. Before removing registries or repairing them, it’ll backup the entire registries to ensure that you can safely rollback if anything goes wrong. 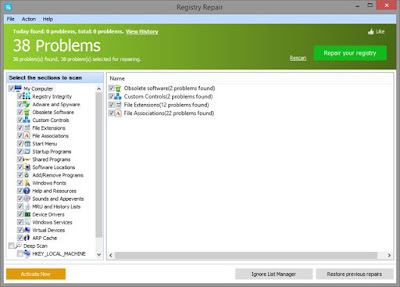 This free registry cleaner app would able to repair registry that is beyond the scope of recovery. 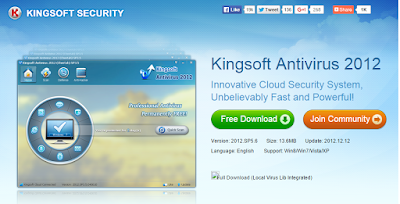 It’s available in 17 different languages and compatible with only 64-bit version of Windows. Another hit registry cleaner program in the list that exactly does as explained. 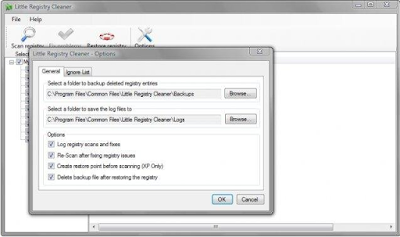 This registry cleaner app isn’t limited or removing or fixing registries but also scans your PC for malicious programs or files that have somehow altered the smooth functioning of your PC. Have you tried different registry cleaner that is free and not in the list? Care to share it with our audience and we’ll try to cover or add in the article if it passes all the benchmark of TW. Remarkable step taken by Jason while standing on the NYC subway, created hand care equipment that takes care of dust from all the touchable things. It could be pole, escalators and various other physical equipment that have high amount of germs. These equipment were in contact by various human beings that highly increased the risk of transmitting germs between one to another person. Pandle was created to eliminate risks of transmitting germs and to keep you safe from probable risks. These germs are often active on crowded pubic areas that have vast amount of commuters traveling on daily basis. Human body can be easily infected through germs and could cause severe health diseases like vomiting/diarrhea . Pandle is created using perfect blend of rubber, antibacterial solution and tight gripping to ensure easiness as well as maximum protection. Jason development team has taken over 9 months to come up with this solid product that provides high level of comfort while uses and maximum protection against fighting germs or other bacterial agents. Finally, Jason has lunched and this product 7 months back, In February 2015. With a huge start, Pandle gain the deserving popularity within a few months of its launch. Above mentioned places or commute system has overcrowded public who doesn’t even bother to think that how many germs they’ve actually transmitted to others. Most of them don’t even wash their hands before eating or drinking which are the main causes of germs infections. Colors: Pandle is available in different colours to choose from such as Black, Blue, Green, Purple and Red. . Size: Pandle is perfectly sized to cover the entire hand area and ensures that you never get in contact with germs. Quality: Made up of using rubber coated with nano-silver which has anti-bacterial properties that prevent the growth of bacteria on the product. Portable: Carrying Pandle is as easy as your wallet or dairy. Pandle can be folded into small square and carry it on your pocket. Comfortable: This product is perfect wearable equipments for your hands and easily fit in just like your gloves. Reusable: Use it multiple times several times in a day without degrading its protection. Cleanable: Pandle is cleanable too. Just use antibacterial soap and water to clean it. Then use dryer to dry it for immediate reuse. Pandle is available at extremely low cost and can be afforded easily, $6.99 USD. Once you’ve chosen to purchase Pandle, select your desired Pandle colour and click on Shop Now. Proceed to check out process and Pandle will be delivered at your doorstep within few working days. Pandle uses is huge and recommended for every personal who’s taking help of daily transportation to commute between different places. You can make your friends or family safe by suggesting this extremely helpful utility. What are the best services you can choose to convert PSD to HTML in limited budget and in specified time? Similar questions might have been asked by thousands of users in all over the web and they always get puzzled when it comes to decide the best PSD to HTML converter among the rest. We’ve compiled here a list of 10 most popular PSD to HTML services that can help you easily convert any number of PSD to web page format. These PSD to HTML services will take care of everything of a website from designing to web page load time and interface to easy user navigation. Additionally, these services have years of experience in converting high quality PSD files into HTML format with best look and feel. You can choose any of the PSD to HTML service without any doubt as the service listed here have proven track records and I’m personally in touch with few of them. P2H Inc. has remarkable experience and successful track records in delivering over 1200 projects. Professionals at P2H will make your design converted into HTML and various other formats including CMS and custom developed websites. Converted HTML5/CSS3 files support cross browser compatibility and would be responsive against devices of various screen resolutions. P2H charges little huge amount on every single page conversion ($99 USD) and home page ($199) but that can be justified with the quality and speedy service you’ll receive from them. You can make HTML files responsive at an extra cost of $49 USD. Best SEO Friendly HTML Page design or PSD to HTML conversion has been done in CMC for pretty long back. I’m not endorsing them but they deserve these lines based on the feedback that hundreds of customers had left. CMS is little expensive and can design or code different type of PSD in HTML at just $99 and $79 for sub-pages. 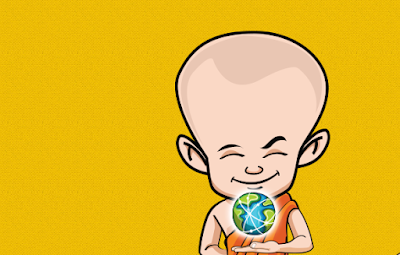 With true designing concepts and an integral quality, Webby Monks facilitate list of benefits including interactive HTML/XHTML designing, W3C Validated, truly hand coded (no software used), cross browser compatibility, perfect compatible with range of mobile or hand held devices and others. You can check out the samples right away and fill up the contact form to get customized quote. They are pretty good at replying fast to user queries and helping them in all aspects of converting PSD into HTML. There are other services has been offered by Webby Monks i.e. 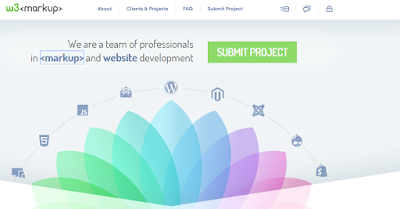 PSD to WordPress, WooCommerce implementation, bootstrap etc. Ask them for ‘PSD to HTML’, ‘PSD to Email Template’, ‘PSD to CMS Theme’ or any other type of markup service you’d be seeking. Their plans start from $146 for first page and then reduce to $88 for internal pages. With mentions at some big brand names, you can trust this markup service as one of its own kind for generating high quality PSD to HTML conversions. Super fast and trouble free customer support service through emails and chats. Delivered over 13000+ projects and new height of client satisfaction ratio, SPARX professionals always take care of UX/UI designing and produce best in class web pages out of your PSD files. You can follow simple steps to get your PSD files converted into HTML File in short span of time: Contact > Developed > Tested > Delivered. For more details, you can contact them directly to get exact price figure. It’ll be a perfect fit if you’re looking for highest quality markup service to convert into PSD to HTML or XHTML. Have dedicated professionals (over 150) and convert PSD using HTML/XHTML/HTML5 using CSS2.1 and CSS3. Maximum support up time through mails, chats and toll free number. This PSD to HTML conversion service will help convert your PSD files into valid W3C HTML files, absolutely hand coded. They will also help you integrate designs into any popular CMS platform you are using like Wordpress, Joomla, Majento etc. Perfect if you want fixed time delivery. You can submit any project or order with W3 Markup to immediate quote and the total charges you’ll need to pay once the PSD to HTML conversion service is completed. Plans starts from $192 USD and get reduced with ordering internal pages. W3 Markup is also into complete website design and Email campaign designs to attract huge customer base. Already highlighted on on the popular marketplace like Microsoft, Mashable, SMASHING and Quicksprout. Exactly as the stated, you’ll no longer need to pay upfront cost. HTMLBurger will ask for payments only once you satisfied with overall job. Super confidential for freelancers mid sized businesses that wants fast PSD to HTML conversion for their own website or for their clients. Deciding inexpensive and quality PSD to HTML Service can be little tricky and requires background check. It’s advisable to read feedback and results from previous customers before handing over PSD files to such services. Have you got good results with any other PSD to HTML company/service that aren’t listed here, get it share with us and we’ll cover that in this post! !